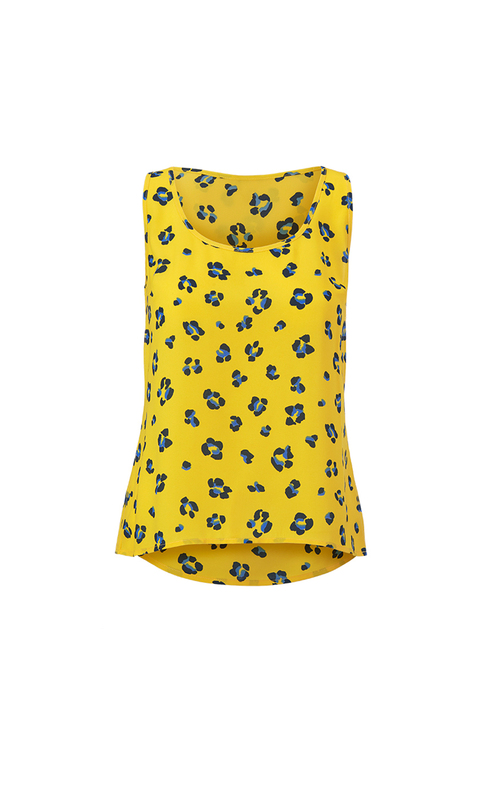 A sunny disposition is inevitable when wearing the Sunny Set twofer! 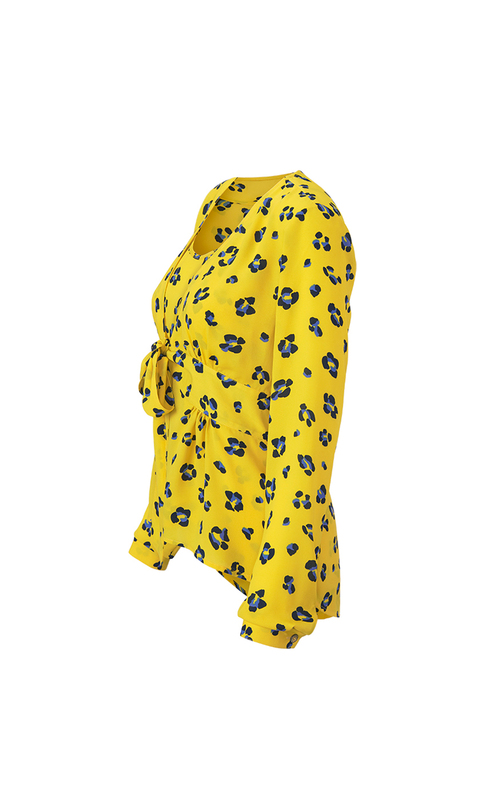 The yellow silky poly features an abstract floral with black and blue flowers. 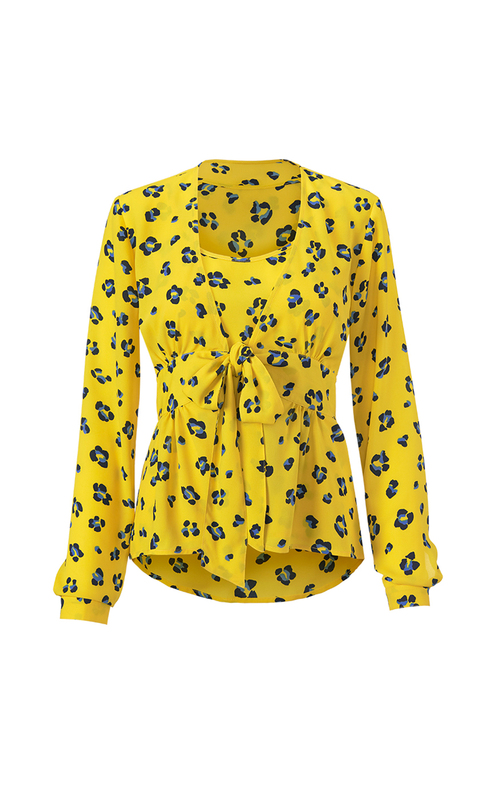 The flirty top layer is a cross between a long-sleeve blouse and a jacket finished with buttons, a V-neckline, and a peplum silhouette when tied. For a striking combo, pair it with the matching scoop neck cami. new arrivals: you’ve seen them, now let’s style them! 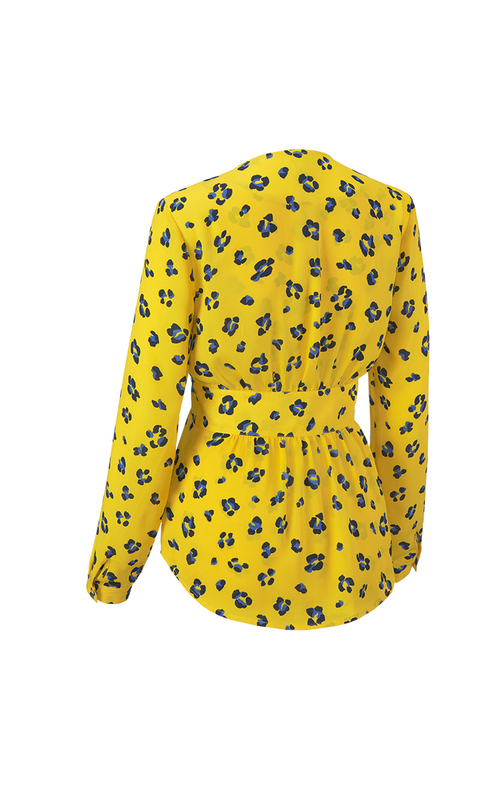 brighten up your wardrobe with these new arrivals! Loving the Sunny Set? Share how you’re wearing it on Instagram, and browse through all the inspired ensembles for fresh ideas.